Nope, sorry folks, no Victoria Beckham in sight. But keep reading! 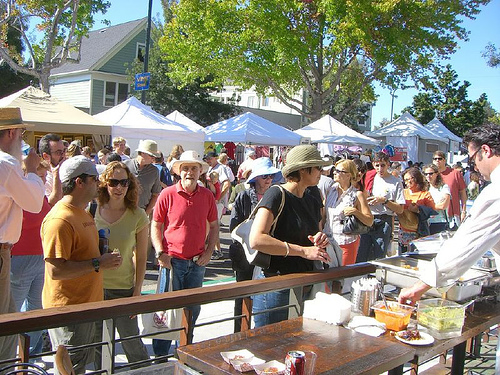 The North Berkeley 7th Annual Spice of Life Festival is today. In place of a snooty fembot, you get fruits, vegetables, and herbs. Seems like a fair trade.